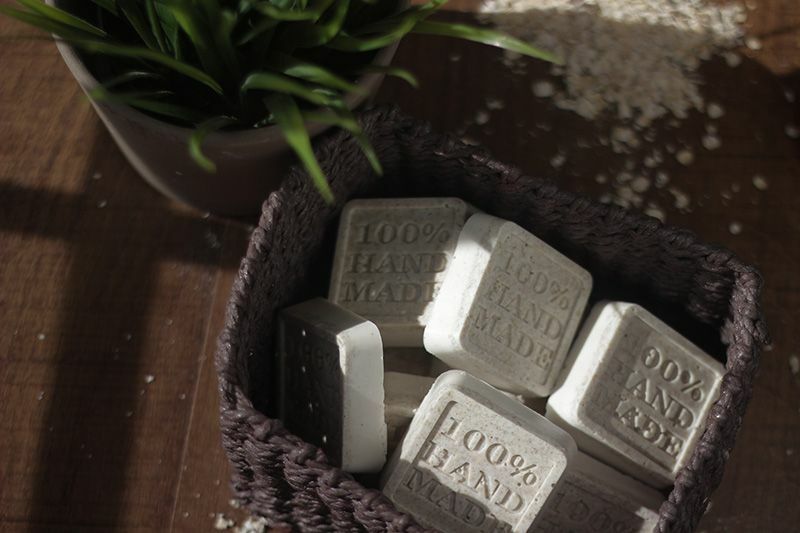 Have you ever thought about making your own soap? I love when I make things that can be useful. Especially when my brain had me thinking it was something I could probably never do. The best part? I had a decent amount of the ingredients in my kitchen! Score! I only had to order the vanilla essential oil and the oatmeal melt and pour soap base, both of which I bought off of Amazon. This soap was birthed from a culmination of me scrolling through Pinterest and also the fact that I have to buy special soap for my little one who has had skin irritation issues since birth anyway. I figure if I can trust someone else to make it, why not trust myself. 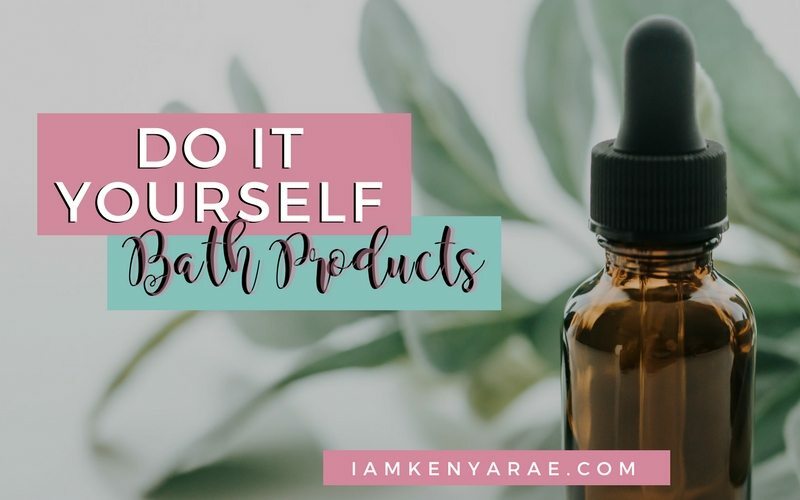 So if you are feeling froggy and want to leap into soap making for hobby or to cut it off your shopping list, like me, here is the simple and easy recipe that I started with. Oatmeal is gentle but also known to have exfoliating and purifying properties. I started by gathering all of my materials. I put my soap molds on a tray. That made it easy to transfer them without moving the soap in them when I was all done. Then I went on to grind the oatmeal in a food processor. Depending on preference, you can do it until it becomes a powder, or for a little texture small pieces. The soap base comes in a big block, so I cut the soap base into cubes using a knife. To my surprise, it was really easy to cut. After cutting the soap base, I put it in a measuring cup and microwaved it in 45-second increments, stirring in between. And continue doing that until the base is completely melted, and then remove from microwave and whisk in processed oatmeal, honey and vanilla. 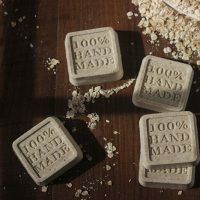 Then spray the soap molds with alcohol, and sprinkle your soap molds with the non-processed oatmeal that was set aside. Whisk the soap mixture before starting to pour, and then pour evenly into the soap molds leaving space at the top so it does not spill when you move it. After pouring, spray with alcohol and let sit for 20 minutes. Once twenty minutes have passed, move the trays with the soap molds to the freezer and leave them in the freezer for at least 2 hours. Once you remove them from the freezer, you can set them on a piece of paper or paper towel to allow them to dry out. This will help them to last longer. You can let them sit 3-4 days, but I have used mine in as soon as 2 days. 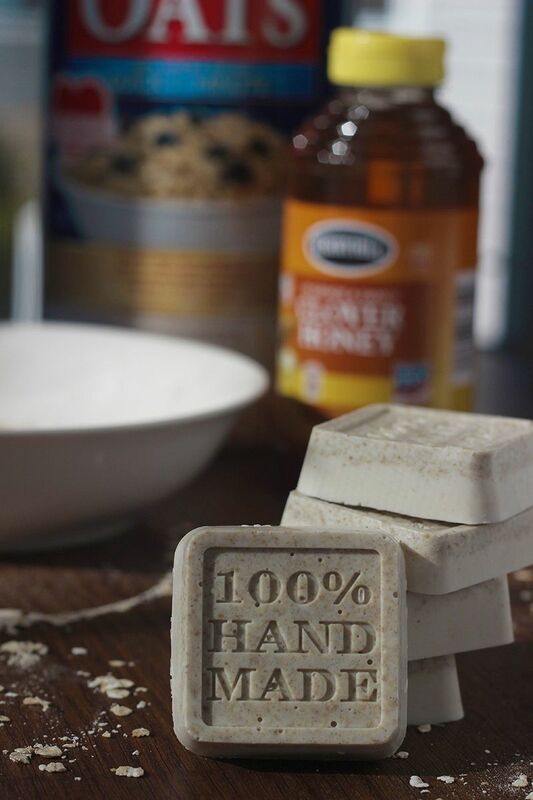 These honey oatmeal soap bars are perfect for gifts, alone or in gift baskets. 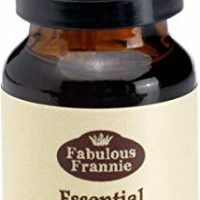 The smell simply delicious and are perfectly okay to use on sensitive skin. Put soap molds on a tray that will make it easy for you to transfer them without moving the soap in them. Grind the half cup of oatmeal in a food processor. You can do it until it becomes a powder. I preferred a little texture so I used small pieces. Cut the soap base into cubes using a knife. It cuts easily. Place soap base in measuring cup and microwave in 45 second increments, stirring in between. Continue until the base is completely melted. Remove from microwave and whisk in processed oatmeal, honey and vanilla. Spray soap molds with alcohol. 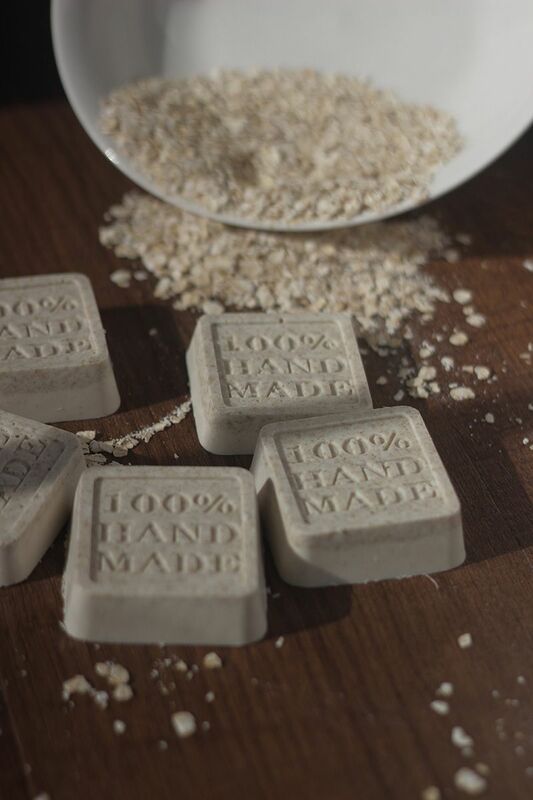 Sprinkle your soap molds with the non-processed oatmeal. Whisk soap mixture before pour. 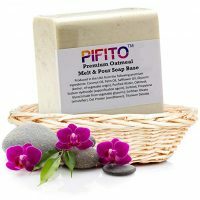 Pour evenly into the soap molds leaving space at the top so it does not spill when you move it. Spray with alcohol and let sit for 20 minutes. 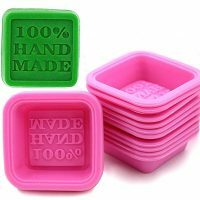 Move trays with soap molds to freezer and allow to stay in freezer at minimum 2 hours. Once you remove them from the freezer, you can set them on paper or paper towel to allow them to dry out. This will help them to last longer. You can let them sit 3-4 days, but I have used mine in as soon as 2 days. For the Soap Molds I bought these, but they were smaller than I expected, so I think I am gonna get these. 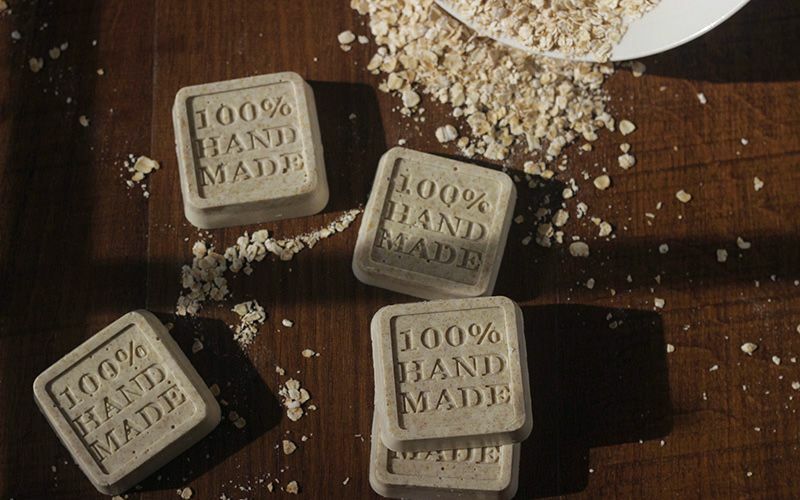 Have you ever considered soap making? Are you ready to give it a try? Oh my, I’ve always wanted to make soap. Every year I learn a new craft and this is one of the things I want to learn to make. I cant wait to try it.